Well, I finally got around to trying out the last hopeful contestant that I had around the house, in the search for a clear spray finish for my papier maché bowls. 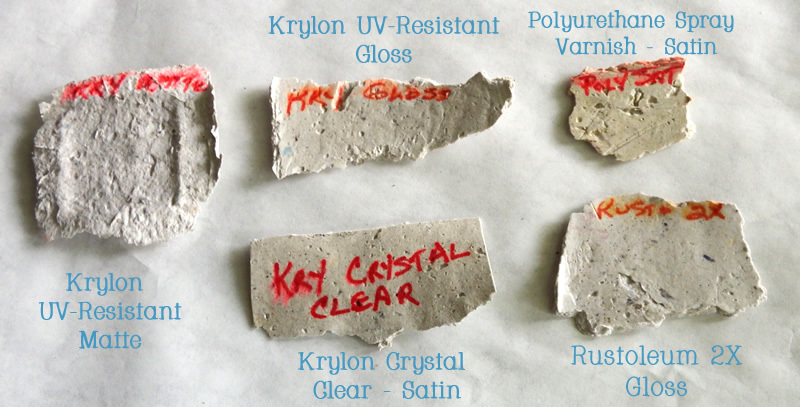 I tried out Krylon’s “Crystal Clear” finish, using the same kind of coverage as I had in the previous experiment. The results were disappointing, to say the least. I had thought the polyurethane and Rustoleum sprays were yellow. This was slightly more yellow than the Rustoleum, and not much less so than the polyurethane. 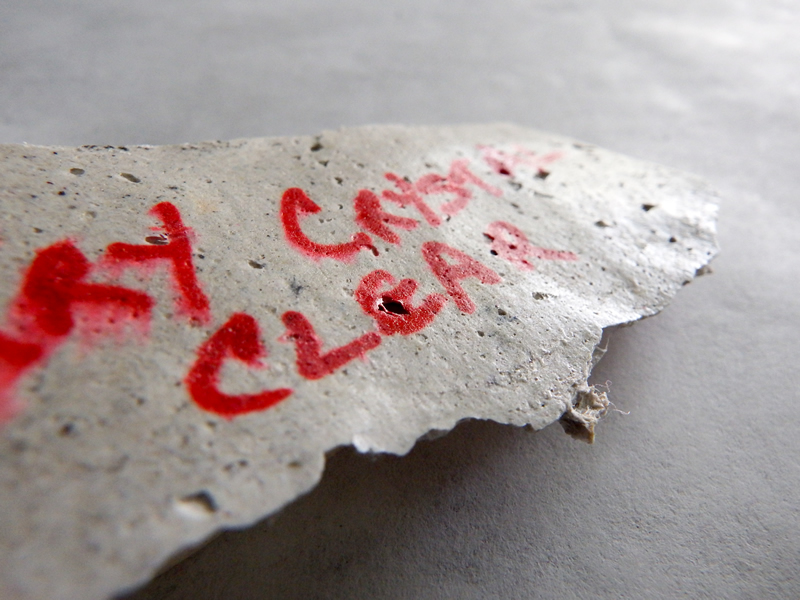 So much for crystal clear… maybe crystal that’s been sitting around in an attic for a few decades might look like this. The Rustoleum is looking pretty good now, for a gloss finish. For matte, the Krylon UV-Resistant seems to be the winner. You can barely tell that there’s a finish on it (and it’s two coats). These sprays may be fine over a colored surface, accounting for a slight yellow tinge, but I’ve got several bowls that are white. I’m not even sure if I feel comfortable with the Krylon matte for them. There’s still a subtle color shift, if you look closely (in person). As far as the finish goes, what is supposed to be “satin”, tends toward the glossy side. The intro photo was intentionally shot so you can get a sense of this.